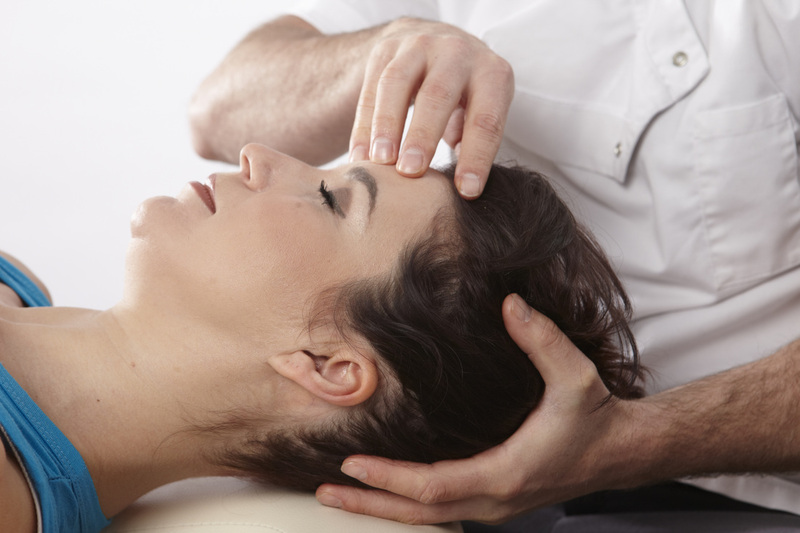 Cranial osteopathy is a specialist treatment which not all osteopaths choose to perform. It requires specific post-graduate training and often takes several years of practice before it can be performed successfully. The theory behind the treatment is fascinating but complex and if you are interested it can be explained more fully during treatment. Essentially it involves placing the practitioners hands on the bones of the head (cranium) and the lowest part of the back (sacrum). You may have heard of cranio-sacral therapy which uses the same mechanism. With the hands in place very gentle adjustments are made to the way these bones move. Yes, bones actually move! They are living tissue after all. And to repeat a famous osteopathic saying... "Where there is movement there is life..."
Because the treatment is very gentle it is used very effectively on people who may be sensitive to the more physical nature of regular treatment. Ultimately it is a different way of achieving the same goal and in practice a combination of both regular and cranial treatment is often the most effective. A little aside: Remember that regular treatment is not aggressive or invasive. It may, however, be slightly uncomfortable for short periods if a pain sensitive area is being treated. Some people request that only cranial treatment is performed because they prefer it. You, as the patient, are never obliged to undergo any part of therapy you may find uncomfortable. You do not have to specify the type of treatment you would like when you book but if you wish to favour one particular type of treatment on the day then it can be discussed during the consultation. Most people just want to get better as quickly as possible and this is always the primary intention.